The College of Europe is pleased to announce that the Administrative Council of the College of Europe, acting on a proposal of the Academic Council, has appointed Professor Jörg MONAR as Rector of the College of Europe. On 1 September 2013, Professor Jörg MONAR will succeed Rector Paul DEMARET who has successfully led the institution since 2003. Professor Jörg MONAR, of German nationality, is currently Director of Studies of the European Political and Administrative Study Programme at the College of Europe (Bruges campus) and Professor of Contemporary European Studies at the University of Sussex. He holds a Doctorate in Modern History from the University of Munich and a Doctorate in Political and Social Sciences from the European University Institute of Florence. Professor Jörg MONAR teaches and conducts research primarily in the fields of EU justice and home affairs, external relations and treaty reforms. He was awarded a Jean Monnet Chair in 2002 and a Marie Curie Chair of Excellence in European Union Internal Security Governance at the University Robert Schuman of Strasbourg in 2005. He is a founding editor of the European Foreign Affairs Review and has held advisory assignments with many national and European institutions, including the British House of Lords from 1999 to 2006. 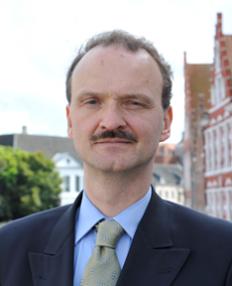 Professor Jörg MONAR has been a member of the Executive Board of the College of Europe since 2008 and has taught for over twenty years at both campuses of the College of Europe (Bruges and Natolin, Warsaw).